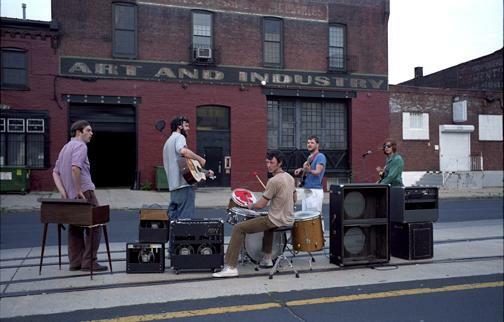 Esquire has called Philadelphia’s Dr. Dog as “your favorite band’s favorite band,” and Philadelphia Weekly has described the band’s music as a blend of “a little folk, blues, indie rock, soul, bluegrass—and a whole lot of down-home harmonizing. They channel ” (The Band one moment, the Beach Boys another, and Pavement the next. In the music played by Brooklyn’s Matthew Houck, a.k.a. Phosphorescent, “you can hear Bob Dylan, Neil Young and Will Oldham—but the modern day folkie has a sound all his own.” (Gothamist) These United States’ “distinct electro-folk sound” (NPR) rounds out the bill.